Leaving aside the usual questions about surveys such as who was asked, who responded and how were the questions formulated, consider the results cited by Mr. Smith. Apparently, 34% of respondents would consider arbitration despite the difficulty of appealing and 57% of respondents did not consider that “arbitrators not following legal rules” was a major problem. Those results indicate that a substantial proportion of parties to commercial disputes are open to dispute resolution that provides a true alternative to the courts. Arbitration is intended to appeal to those who have that desire, not to people who cling to the view that the only legitimate outcome to a dispute is one that has been blessed by the courts. Arbitration exists to serve the objectives of the former group, not the latter. The statistics cited by Mr. Smith demonstrate that, when it is presented as a true alternative to court litigation, arbitration is able to capture a significant share of the dispute resolution market. Mr. Smith suggests that arbitration is now “inconsistent with the needs and expectations of commercial parties”. This assertion is open to question. Most data on this subject tends to result from surveys of lawyers who have asked each other what is best for their clients. The best way, however, to understand the needs and expectations of commercial parties is for a lawyer to speak to his or her client. In that discussion, the lawyer can explain, “I have two options for your business dispute. In one option you and the other side choose the decision maker, or a decision maker is chosen for you by a judge or reputable institution. You will get a decision in about a year or less and you will have to accept it one way or the other. In the other option, I cannot tell you anything about the background or qualifications of the decision maker other than that he or she has been appointed a judge. I also cannot tell you how long it will take to get to the initial decision or how long it will take to get to the final decision. You may win or lose at each stage but only the final decision will count. As with the first option, you will have to accept the final decision one way or the other.” Assume the client then asks: “Which method will result in the greatest chance of winning?” What is the answer to that question? Few clients have an interest in or wish to contribute to the “development of the law”. Few care whether the reason they lost or won was the same reason that someone else in another case (that may or may not be somewhat similar) lost or won. For those who do care about such things, arbitration is not a good option. The benefits of arbitration as an alternative to court litigation are most fully realized when the parties agree to accept the judgment of the chosen decision maker on all matters of fact, law and procedure that are in dispute. Indeed, that is the essence of arbitration. The notion that broad arbitration appeals would allow for the correction of error is itself open to question. The losing party and its counsel are no more likely to accept the final decision as correct if it is expressed in a court judgment than if it is expressed in an arbitration award. Ultimately, the issue for parties and their counsel is “What process are you prepared to accept as legitimate for determining a commercial dispute? What process best serves your business needs in terms of cost and time?” Many will choose the courts and many will choose arbitration. Those who choose arbitration should avoid making arbitration resemble court litigation. Those who prefer the courts should not seek to hobble the basic value proposition of arbitration by subjecting arbitration awards to merits review by the courts. 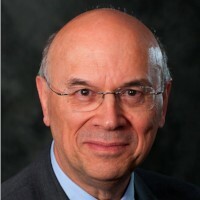 Bill Horton is an arbitrator of Canadian and international business disputes.